A Spoonful Of 'Socialism' Makes Capitalism Work Eighty years ago this week, the roaring free market of the 1920s came to a devastating collapse. What we didn't understand then — and still don't wholly understand now — is that capitalism is not a perfect system. It needs rules and regulations, and more than ever, it needs them now. On Oct. 29, 1929, also known as Black Tuesday, the market collapsed. 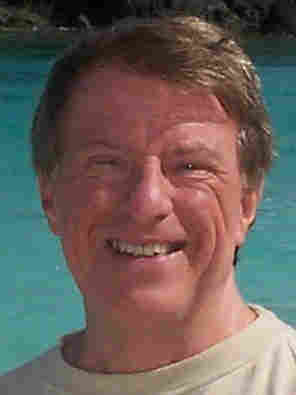 Commentator Robert S. McElvaine says the crash was due to policies that allowed greed to rule and income to become concentrated in the hands of a few. 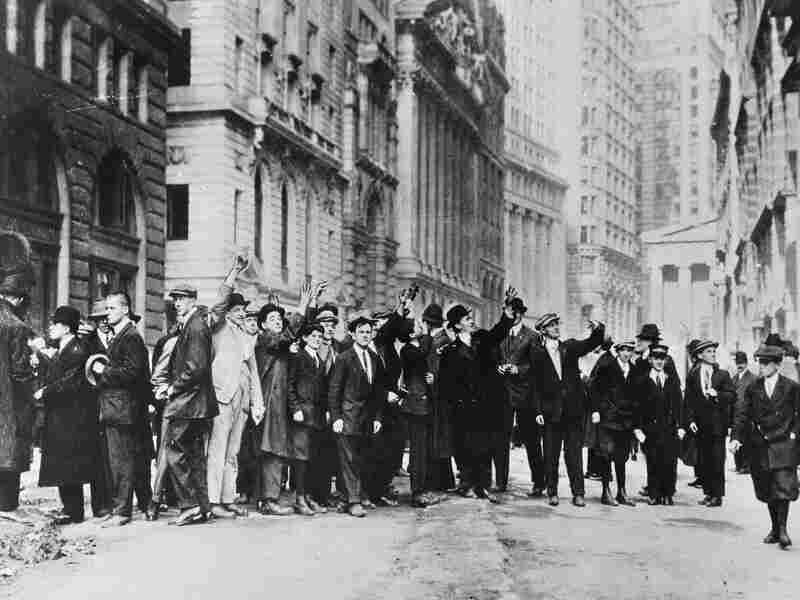 Here, people stand on Wall Street in October 1929. Want another perspective on this issue? Read Armstrong Williams' take here. Eighty years ago this week, the freewheeling, free-market economy of the 1920s collapsed. Why it happened then and why it happened again last year is a subject worthy of consideration on this week's anniversary of Black Tuesday. The reasons for both collapses were very much the same: people who believed that a totally free market, with no interference from government, is the way — the only way — to achieve prosperity pursued policies in the years preceding both crashes that allowed greed to rule and income to become heavily concentrated at the highest levels, leaving too little in the hands of most people to consume all that was being produced. In both cases, credit was used to allow people with insufficient income to continue to buy. The economy kept rising — but in the end, this credit burst just made the collapse more dramatic. The economic and political arguments after both crashes have also been remarkably similar, with conservatives calling for spending freezes and tax cuts, condemning proposals for government action to deal with the problems as "socialism." No one should pretend that capitalism is perfect or all-wise. What Franklin D. Roosevelt understood during the Great Depression and what we must see now is that this is a false debate. Capitalism and government intervention are not an either/or choice. We have to find ways to get the obvious benefits of the market system while minimizing that system's risks. And those ways necessarily involve government action. "No one pretends that democracy is perfect or all-wise," Winston Churchill once noted. "Indeed," he continued, "it has been said that democracy is the worst form of government — except all the others that have been tried." The same could accurately be said of capitalism: No one should pretend that capitalism is perfect or all-wise. Yet those who worship the market as God pretend just that. Capitalism is the worst economic system — except for all the others that have been tried. The Founding Fathers of the United States well recognized the flaws in democracy. As Churchill would nearly two centuries later, they believed that democracy is the best — or 'least bad' — political system, but that it contains within it many inherent dangers. We need to realize now that capitalism is the 'least bad' economic system, and likewise, contains within it many problem areas. Therefore, we need an economy that is basically capitalist, but with a system of economic checks and balances to make it work properly and lessen those dangers. One of the most prominent of those dangers is that income will become too concentrated at the top, undermining the functioning of a consumer-based economy. When Barack Obama said during the campaign, "When you spread the wealth around, it's good for everybody," opponents cried, "Socialism!" In fact, it is the only way to make modern capitalism work well. Just a spoonful of socialism helps the capitalism go up. Robert S. McElvaine teaches history at Millsaps College. A 25th anniversary edition of his book The Great Depression is being published this week by Three Rivers Press, an imprint of the Crown Publishing Group.